The Scribble Pad: A resolution to serve. In 2013 I want to continue to refocus month after month on serving...my family, my friends, my community, and this online community that has become so real. Let'e be honest, I might be refocusing day to day, not just once a month! Knowing how and when and why to serve others is challenging for me. It means also knowing when to say no, even to good opportunities. 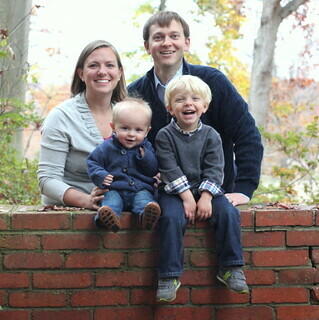 At the end of the day, I want to go to bed knowing that I spent my time serving my family well. This doesn't necessarily mean with a clean house and delicious home cooked meal, but instead I want to seek service that is God honoring. Thoughtfully considering whether the demands on my time bring me and my family closer to Christ, or simply fill up hours of the day. The second goal of mine is to be more connected and present with the people who are sitting right in front of me. To put my phone aside, to leave the computer untouched. To seek out deep and meaningful time spent with the people around me. One of our church elders prayed about this last night and it rocked me a bit. Does Behr ever see me not on my phone? I haven't thought through this one very much, though I am certain I will continue to wrestle over it. However, I wanted to be honest with you here and share my heart, not just my well through out ideas. One of the most immediate ways I will working to "serve" is occasionally sharing with you the ways other bloggers and friends are serving God in their own lives. This frees me from blogging a bit, allowing me to spend more time playing on the floor with Behr, and it also allows me to share things that are dear to my heart. 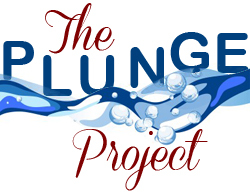 So today, I want to share with you Lena's Plunge Project. My dear, sweet friend Lena is seeking to raise $400 to pull one woman out of prostitution and off the streets of Ethiopia. When she meets her goal, she will be stepping way outside of her own comfort zone and plunging into the ice cold waters this Saturday, January 5th. Will you take a moment and read about her heart and goals here and here. What has God placed on your heart leading into 2013? Have you found a balance of serving your family and others? How do you decide when it is time to say no?